With a stunning 4.5 inch Super AMOLED display and measuring only .36 inches in depth, the Samsung Galaxy Express GoPhone is one of the most masterfully crafted and powerful smartphones today. Running on Android 4.1 Jelly Bean with a 1.5 GHz dual-core processor at 4G LTE speeds, the Galaxy Express’s lightning fast speed is capable of downloading, streaming, and multi-tasking faster than ever before. With built in features and on-device encryption, you can keep any sensitive or private information on your phone safe and secure. Take beautiful pictures and video chat with your friends on the 5 megapixel camera and never worry about not having enough memory space, because you get up to 32GB in expandable memory storage with the Galaxy Express. And with an impressive 2000mAh battery, you’ve got 15 hours of talk time and 19 days of standby time. 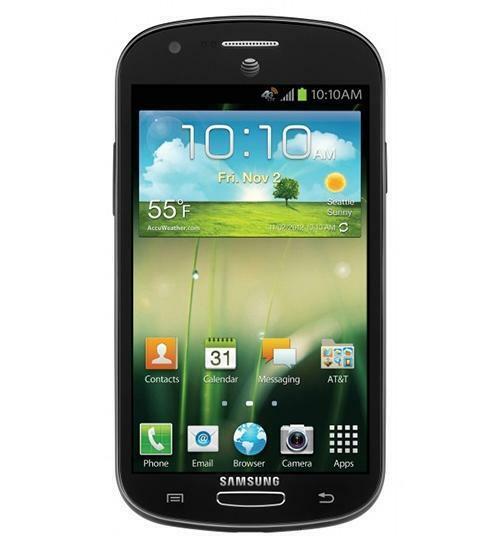 Aaron takes a look at the Samsung Galaxy Express, a new smartphone from Samsung and AT&T.